TradCatKnight: Video- CIA May Assassinate Putin? The former Assistant Secretary of the Treasury for Economic Policy in the Reagan administration, Paul Craig Roberts, told Alex Jones on Thursday he believes Russian President Vladimir Putin is in danger of being assassinated by the CIA. He said the likely assassins will be from the CIA or a rogue group. The CIA has assassinated and attempted to assassinate leaders and political figures in numerous countries, including Korea, China, Indonesia, Iran, Cambodia, Iraq, Costa Rica, Cuba, South Vietnam, Dominican Republic, Libya, Lebanon, Panama, Afghanistan, Pakistan and elsewhere. According to author William Blum, who wrote a definite book on the CIA, “Killing Hope: U.S. Military and C.I.A. Interventions since World War II,” the agency has made more than 50 assassination attempts. In the 1970s, the Church Committee, formally known as the Senate Select Committee to Study Governmental Operations, spent more than 60 days questioning 75 witnesses about CIA plots in the late 1950s and early 1960s. Back in the darkest days of the cold war, the agency had devoted significant resources and creativity to devising unhappy ends for unsavory or inconvenient foreign leaders. Among those listed for assassination were Patrice Lumumba of the Congo, Ngo Dinh Diem of South Vietnam, Rafael Trujillo of the Dominican Republic and, most famously, Fidel Castro of Cuba, who survived no fewer than eight C.I.A. assassination plots. If Putin falls victim to an assassination, however, Obama and the CIA will not take credit. Blame will be placed on a rogue group, as Roberts indicates, and possibly a terrorist organization. Prior to the Russian operation in Syria, the Islamic State’s Chechen military commander, Umar al-Shishani, threatened to target Putin and Russia. 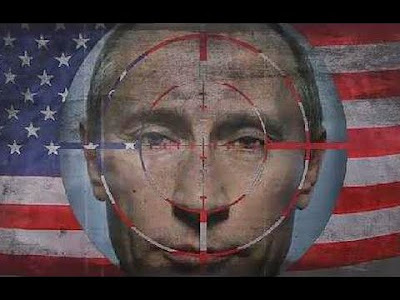 In 2014 a former CIA official suggested the removal of Putin, by assassination if necessary, should be the primary objective of the Obama administration in its strategy for Ukraine. Ive been concerned about Putin getting assassinated for awhile now. And Assad also. The powers that be do not want these two men to succeed. Putin has suffered attempts on his life several times already most were Chechen plots. "Paul Craig Roberts told Alex Jones" ...should always rise red flags when these clowns talk.